You are here: Home / Blog / The Olive Allée!!! to emphasize the “coming to,” or arrival at a “focal point” or an architectural feature. so as to give a uniform appearance along the full length of the avenue”. 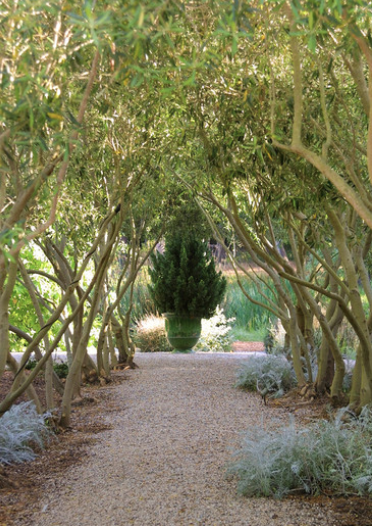 Landscape designer Margie Grace and I collaborated on our “Olive Allee” here in Montecito. I love “allees”; the symmetry and the canopy is beautiful. The cypress tree in an Anduze pot is the focal point this way! I need another “focal point looking this way! 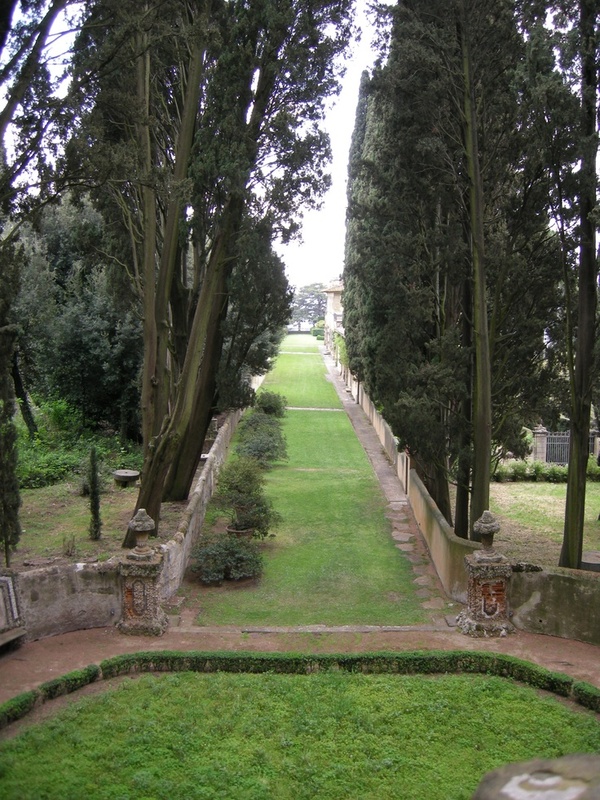 This is the cypress in the pot at the end of the “allee”! I’m not sure what this “focal point” is; The house is part of it! How simply gorgeous this is! 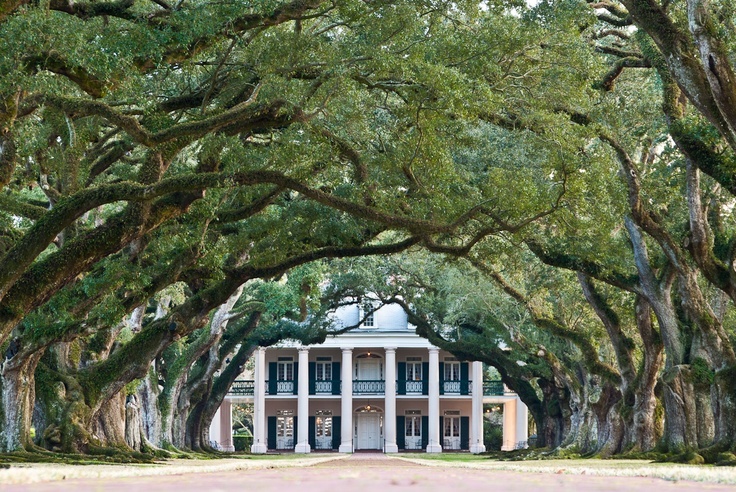 Here is an enormous allee of old oak trees; Centered on the front door! The centered tree is this focal point! Another gorgeous one, this time the axis is on the middle arched door!! Allees are a lovely addition to a garden! They “contain the view” and lead you toward their “focal point”!! More about our Garden here. It tells the story of all the challenges! She does a magnificent job!!! At every kind of style!!! Previous Post: « Duckling update! And a rare bird nesting! Your olive trees look like they’re dancing. wait till you hear the REST of that story! Your long blonde hair will stand on end! When I was in college (at USC) my job was “teaching cotillion”! (dancing school!) I taught little boys how to “lead” and little girls how to “follow”! It was the most delightful job!! Thank you ! My beautiful friend!! and your beautiful dogs!! My blogging friend from Australia…..said the same thing! There’s not much more beautiful than a corridor of trees, especially when they meet in the middle and enclose you in their greenblack shade. 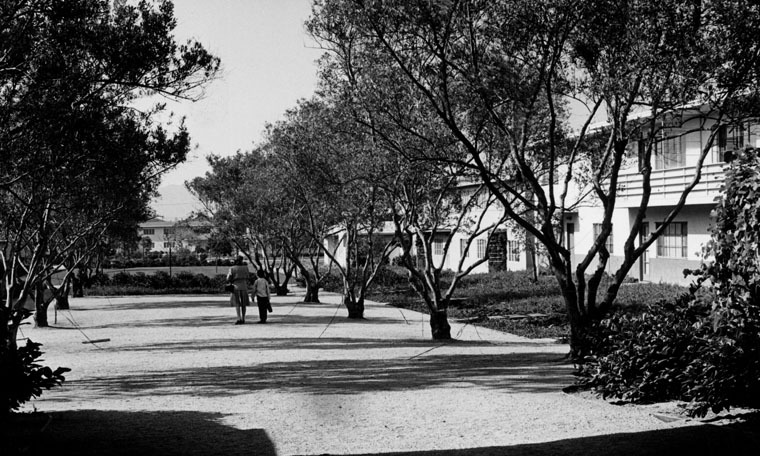 Too often here in Australia people plant avenues of trees like Liquid Ambars which grow hugely tall, giving you expectations about the house, which often turns out to be quite small and modest and, after the huge trees, a bit of an anticlimax. When we planted an avenue up to our (small and modest) farmhouse, we made sure the trees won’t grow any higher than the ridge line. I love your allee of olives – they look like a lineup of unruly people chatting, swaying, tapping their toes, getting to the beat…. AHAH!!! You totally “got it”!! Just what I “meant to do! !” (I was a completely unruly youngster! “not asked back to every private school in Pasadena!! ; finally sent to the east coast…..boarding school. (I tried to get “kicked out of that from day one!) Finally, the “nuns of the order of the Holy Child Jesus” (I am Episcopalian) really did save me!!! In the middle of my junior year in high school. I managed to get into USC “on probation” and did very well. Without those nuns…..no telling. I am very grateful!!! “Unruly people chatting, swaying, and dancing…….” EXACTLY!!! Thank you!! You’re needing a double axis. Was in mentor Margaret Moseley’s garden with that epiphany. Every focal point she had…..you could turn and see another focal point in its opposite direction. AS IF they teach this with your college degree . sent you a note that has decided to stay clogged in my outbox. Can’t do a thing with it. TARA!!! It is you who has taught me that I needed another axis!!! It is in Louisiana across from the Mississippi River. To see this place in person is like seeing the Grand Canyon for the 1st time. Every single year it becomes more beautiful as I’m sure you know. I love the comment about the trees dancing. But, at your home, of course, they are dancing…exactly like I would be doing! I did indeed notice this ALLEE when I had my brief visit with you and your divine husband!This woman GRACE does some amazing work……wish she lived closer to me!I could use some advise! This may be a stupid question….was it clear that when you click on “here” you are swept away to the website of our genius landscaper! Wow. I have never seen an olive allée!! So beautiful! YES!It was clear………..I clicked and there was your home on the first page!I thought there SHE is again!!!!!!!! !It was a beautiful slide show and the other gardens too so gorgeous and so different! Definitely,a talented GRAND DAME…………as I said wish I lived closer! PS.There is a good story or two about my milkman under my comment section you might enjoy on the VINTAGE HEN HOUSE site!!! I cannot find your milkman story! Please send!!! Two of my readers visited that Plantation! Next year I am going! ( Charleston; Savannah, and New Orleans and environs.Before I die! (I thought I would die the first time I went to the “South”! On a “Sotheby’s decorating tour”! she started with Sotheby’s..branched out on her own! The most wonderful tours; and complete “insider” tours of private houses….never opened ever…to tours of any kind!! I have been on 5? I want to GO TOO!Will you tell me about the next adventure to the SOUTH?? ?I was in CHARLESTON last year…….LOVED IT!Savannah, many many years ago……….there is a STATUE of my GREAT GREAT GREAT Grandfather there in one of the round a bouts!GENERAL NATHANAEL GREENE.He is buried there too………..I hunted around this old old cemetery until I found him! This is a deal and a contract! Promise me! We will do this next year!!! There is a special garden tour in Charleston!! We need to go…,TOGETHER!!! Love the blog! I look forward to it every time. Thanks for the strokes on landscaping — your site is so special that everything just fell into place. It is a joy to collaborate with you! Gorgeous post. I am so happy to have found your blog and website, your work is gorgeous. I am in love with Montecito and your home is just amazing!! We are getting married in SB/Montecito next summer and I would love to live there on day! Gorgeous post. I am so happy to have found your blog and website, your work is beautiful. I am in love with Montecito and your home is just amazing!! We are getting married in SB/Montecito next summer and I would love to live there one day!